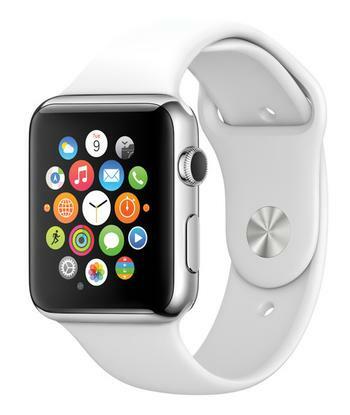 Apple unveils Apple Watch-Apple's most personal device ever. The arrival of the Apple Watch in stores across Asia on Friday failed to draw the same crowds that greeted the launch of the iPhone 6 -- a sign, perhaps, that Apple fans are prepared to queue overnight to buy, but not just to try. The watch is now on show at Apple Stores across the U.S. too, but you'll have to wait until April 24 to buy one. The company is accepting preorders online only. As Apple's latest MacBook is available for order on Friday, the reviews are coming in and most agree that it's a gorgeous piece of design. But battery life, computing performance, and that single USB Type-C port are all coming down in the "cons" column, with an emerging consensus that the smart money might hold on to that current MacBook Air and wait for the 2016 version of the new model. The distributed denial of service attacks against GitHub last month, which were traced to China, are now being linked to a new cyber-weapon that security researchers are calling the Great Cannon, the New York Times reports. The researchers at the University of California, Berkeley, and the University of Toronto say that this "allows China to intercept foreign web traffic as it flows to Chinese websites, inject malicious code and repurpose the traffic as Beijing sees fit," according to the Times. The U.S. has blocked Intel from selling Xeon chips meant for supercomputer projects in China. Four supercomputing institutions there were involved in building Tianhe-2, the world's fastest supercomputer, and Tianhe-1A; both computers are said to be used in nuclear tests, according to U.S. agencies, including the Department of Commerce. The impact of a strengthening U.S. dollar has led Gartner to drop its global IT spending forecast for 2015. In January it was predicting a 2.4 percent increase for the year, but now the research firm sees a decrease of $3.66 trillion in 2015, down 1.3 percent from last year, Computerworld reports. It would have been an interesting fit and a huge deal for Intel: buy Altera, a powerhouse in FPGAs. But according to numerous reports Thursday, the talks fell apart over price, with Bloomberg saying Altera rejected an offer of $54 a share. Google removed a data-scraping Chrome extension from its browser market after security firms reported that the add-on was actually transferring information about more than a million users, Computerworld reports. The Webpage Screenshot extension -- not the one with the same name that is still in the store, CW says -- transmitted users' locations, URLs and tab titles of pages they browsed, and also assigned a unique ID to each user. French-language TV network TV5Monde was back online yesterday after being hit by a crippling cyberattack Wednesday that disrupted broadcasting across its channels and also involved the hijacking of its website and social media accounts. The attackers claimed to be acting on behalf of extremist organization ISIS, and also hijacked the Twitter accounts of Newsweek, the International Business Times and the U.S. Central Command earlier this year. On World Tech Update this week, Apple tells customers not to sleep outside its stores and NASA receives the first objects 3D printed in space. "It's the algorithm," tech companies say with a shrug, when systems they've created have less than desirable real-world effects. Now the U.S.'s top consumer regulator wants those black boxes opened up; here's why you should, too.